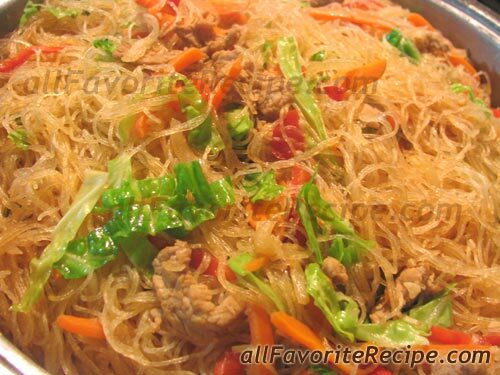 Pancit bihon or “Pansit” is a Chinese-Filipino food dish and one of the variety of Pancit Guisado recipes that I love to cook. This pansit bihon is the commonly requested recipe of my children specially my youngest daughter because she really love pancit or any noodle recipe. 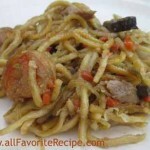 Rinse pancit bihon with tap water. Drain. Set aside. Heat oil in a large skillet. Stir-fry pork slices until no longer pink in color. Add garlic and onion. Sauté for a few minutes until soft. Season with patis, salt, pepper and soy sauce to taste. Add julienne carrots and red bell peppers. Stir-fry for a few minutes. Add chicken broth or water. Correct the seasoning. Heat until boiling and add the drained pancit bihon. 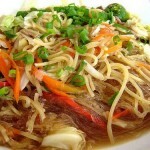 Add a little more water or broth if you notice that is almost dry up and noodles (“pancit”) are not yet cooked well. You may also add soy sauce if you find it pale and taste bland. 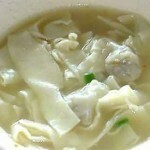 Add cabbage leaves (do not overcook) and then turn off the heat. Mix well. Serve with lemon wedges or calamansi. Enjoy! 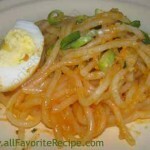 Yeah… this is my favorite sa lahat… Papiliin mo ako spag at pansit mas uunahin ko ang pansit. Thanks for sharing this recipe.